Elections are colourful affairs, and the March 11 state election in Western Australia is no exception. What is bringing particular clamour to this election is the resurgence of One Nation. Pauline Hanson’s party has certainly made its presence felt. The party is contesting 35 of the state’s 59 Legislative Assembly seats, and fielding 17 candidates across the six upper house regions. According to the polls, it is also the third-largest party in electoral terms. The most recent Newspoll has One Nation’s primary vote at 13%, well ahead of the Nationals (5%) and the Greens (9%). It is little wonder, then, that the Liberals finally ended speculation by announcing a preference deal with One Nation. The Liberals will direct preferences to One Nation upper house candidates in regional seats. In exchange, One Nation will direct lower house preferences to Liberal candidates ahead of Labor candidates. While the Liberals’ preference deal with One Nation is the first of its kind since John Howard took the decision as prime minister to place One Nation last on the Liberal how-to-vote card at the 2001 federal election, it is not likely to be the last. Over the past six months or so, the Liberals’ anti-One Nation resolve has been fraying. In spite of catastrophising in some quarters, the preference deal is important for the Liberal-led government’s chances of re-election. The party’s first preference vote is at 30% and its two party preferred vote is 46%. ABC election analyst Antony Green estimates that “a swing of between 2.2% and 10% against the Liberals would produce a minority government”. In the face of a resurgent Labor Party, such a swing is possible. The Liberals’ partners in government, the WA Nationals, are the most grievously affected by this deal. Some commentators estimate it could cost them their five upper house seats. But the Nationals can hardly be surprised by the Liberals’ decision. Although the relationship between the two parties is often civilised, it also has a long history of strife. In recent years, tensions between the parties were re-ignited when, prior to the 2008 WA election, the Nationals declared they would not be seeking a coalition but a partnership with the Liberals. The Nationals leveraged the fact that neither major party had attained a parliamentary majority to negotiate a deal that provided for 25% of all state royalty payments to be set aside for re-investment into a royalties for the regions program. While the Nationals eventually agreed to support the Liberals, there was no doubt that the Nationals were seriously entertaining the prospects of doing a parliamentary deal with Labor. A more traditional coalition arrangement was resumed following the 2013 state election, but the relationship between the two parties showed signs of strain by August 2016. The return of Brendan Grylls – the architect of the 2008 parliamentary agreement – to the Nationals’ leadership, and the unpopularity of the Barnett government, marked the return of a more assertive Nationals party. Under Grylls’ leadership, the Nationals have been less than willing to commit to a new alliance with the Liberals. Grylls has indicated that support for any minority government would be contingent on the Liberals agreeing to support an increase in the lease rental fee on BHP and Rio Tinto from 25c to $5 a tonne on Pilbara iron ore production. The Liberals oppose this. The preference agreement carries some risk for the Liberals. 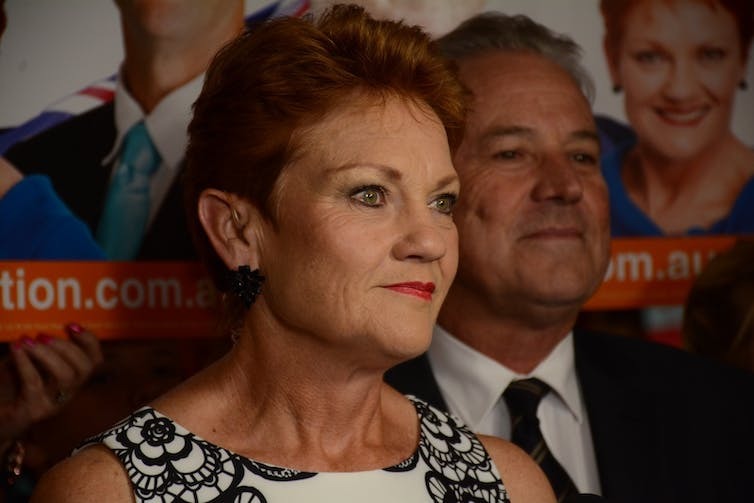 It is not entirely clear whether One Nation preferences will flow in a manner consistent with the party’s how-to-vote card. In part this is a question of whether One Nation has the infrastructure to deliver on the agreement. A successful how-to-vote card strategy requires a party presence at polling booths on election day. The major parties struggle to cover all of their polling booths, so One Nation is likely to struggle too. There is also a question mark over whether One Nation supporters will actually follow the party’s how-to-vote card recommendations, even if given one. If the party’s voter base is anything like some of One Nation’s candidates, there is no reason to think that the preference deal will be widely supported. Already one of the party’s highest-profile candidates, Margaret Dodds, has rejected the deal on the basis of policy differences with the Liberals and concerns about the lack of consultation over the agreement. Even if a significant proportion of One Nation preferences help to secure the Liberals’ return to government, the deal will cost the Liberals when the incoming upper house members take their seats in May. While lower house preference deals are difficult for parties to impose on their supporters, there is greater certainty on preference flows for the upper house. Proportional representation, combined with above-the-line voting, makes it highly likely that most of the Liberal surplus preferences will find their way to One Nation’s upper house candidates. This greatly increases One Nation’s prospects of holding the balance of power in the Legislative Council. Should this happen, the Liberals’ plans to partially privatise the state’s electricity utility in order to pay down soaring debt will not be realised. One Nation is staunchly opposed to the privatisation. So while the Liberals’ decision is “pragmatic and sensible” in the short term, it might seriously compromise the party’s legislative agenda should it be returned to office.